Even the most infrequent follower of current affairs knows that dairy farmers are doing it tough. It started off with Coles and Woolworths offering $1-a-litre milk at the same time as processors predicted burgeoning demand from Asia and urged suppliers to increase. Many dairy farmers responded to the urging to “make sure they didn’t miss out on the China rush” by scaling up their business – buying more land in some cases, buying in feed in others – to increase herd sizes. Mostly, the expansions were paid for with borrowed money. The world economy, however, didn’t follow the dairy industry’s vision. Demand from China plateaued and then came a true ‘black swan’ event, the shooting down of Malaysian Airlines Flight 17 by Russian-backed Ukrainian separatist rebels. Russia responded to the ensuing sanctions by imposing import bans, which resulted in Europe being awash with milk, cheese and other dairy products that were dumped on traditionally Australian markets at cost or below. In April 2016, Australia’s largest milk processor, Murray Goulburn, slashed the farmgate price for milk to below the cost of production for most farmers, and announced it would seek to claw back past payments made at the previous higher rate. The Australian dairy industry was a house of cards built with debt and it all came crashing down when Murray Goulburn’s largest rival, Fonterra, followed suit. The cuts drove the price below the cost of production for most producers and the clawbacks left many dairy farmers in debt to the processor – as much as $100,000 in some cases – plunging the industry into crisis. Already debt-laden due to expansion, many farmers didn’t have cash reserves to pay the processors’ bills. Then came the drought. Some parts of Queensland had been in drought for more than six years, of course, and for the rest of the country, one dry winter and spring was just part of life. But by the second dry winter in NSW, an already weakened dairy industry was in trouble. With little or no rain there was no grass for their cows and the price of feed skyrocketed – hay up by 59 per cent and grain up by 40 per cent – as did transport costs. NSW had run out of fodder, which then had to come from Victoria, South Australia and Western Australia. Some producers responded by selling up completely or moving to different enterprises such as beef cattle, but Aussie farmers are an innovative bunch and many were determined to survive no matter what the market conditions. In Jamberoo, NSW, dairy farmer Jason Maloney launched a GoFundMe crowdfunding campaign which raised $269,283 for his farm and others in the area. The historic sixth-generation Country Valley at Picton took to social media asking people to ‘adopt a cow’. While both these campaigns were highly successful, Queensland Dairyfarmers’ Organisation vice-president Matthew Trace pointed out that there were more than 100 pleas for crowdfunding on GoFundMe alone. Although prices from the major processors are edging back up due to record-low production levels, some producers say the way to achieve a fair farmgate price is to cut out the middleman completely. Companies such as The Little Big Dairy Co (Dubbo), Peel Valley Milk (Tamworth) and Gippsland Dairy (Eastern Victoria) are going to market in local areas with premium quality milk that carries their own brand. The Little Big Dairy Co was set up because Steve and Erika Chesworth’s daughter Emma (and her husband Jim) wanted to come back to the family farm and they all felt it would be best for them to have their own enterprise to run. Most of the family-run-and-owned business’s milk from its 800 Holstein cows goes to major processor Parmalat, but a proportion is sold as the Little Big Dairy Co’s prize-winning single source premium milk. Mines use a lot of water, and on a dry continent that can lead to conflict with local communities and other stakeholders. How the EON Foundation helps Aboriginal communities improve nutrition standards. Down in Tasmania’s Derwent Valley, just 40km out of Hobart, is a little hamlet called Plenty. 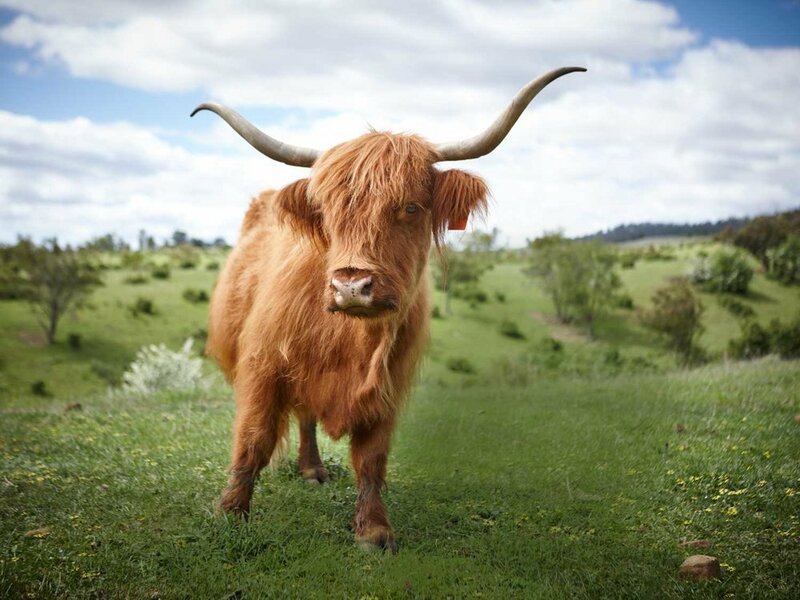 On the face of it, the name alone invites would-be “treechangers” to come and find their fortune – and that’s exactly how the story of Big River Highland Beef begins.